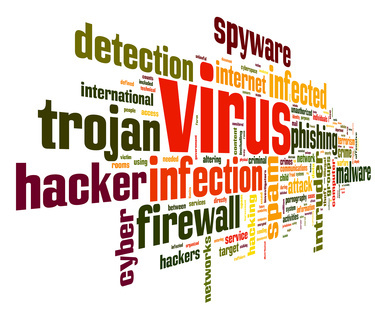 Have You Got A Virus or Malware Infection ? At Computer Rehab we can remove the majority of Infections for £75. This includes: Removing the infection, correcting system errors leading to improved performance of the machine and Install necessary updates. One of the most common problems we deal with at Computer Rehab are Virus and Malware problems. These infections can be just annoying to destructive and even hold you to ransom. The most common question we get asked is: "I have Internet Security why do I still get infected ? " What ever internet security you are using be it Norton, AVG, McAfee, Kaspersky, etc. you are not guaranteed to be 100% safe. If you click on a link or go to a page that is infected you can still become infected. The majority of infections can be removed. Some are much more persistent than others. There are some that are almost impossible to remove and can render the computer unusable. There are occasions where they only solution is to re-install Windows. This would not be considered Virus or Malware removal and involves a lot more work. For Windows reinstall see the Windows rebuild page. There are Virus's on the internet known as Ransomware that encrypt your files so you can not open them. Generally the only solution to this is using a backup of your files you made prior to the infection or buy paying the fee demanded by the creators (usually hundreds of pounds)of the Virus. Even then it does not guarantee you will get your files back. Simple Steps to Staying Safe On-line. Do not open emails you do not recognise. Look to see where a link goes before clicking. Have up to date internet security. Use a separate Anti-malware program like Malwarbytes or Super antispyware. Search engines such as Google are great for finding what you want but can lead you to downloading Malware. Beware of popups saying you need to upgrade your software. There are many spoof popups that lead you to downloading rogue software. There is a lot of FREE software available on the internet and it is very good. Be careful where you download it from. Genuine FREE software is often packaged up with Malware. At Computer Rehab We Are More Than Happy To Give Advice. If You Are Not Sure Give Us A Call.